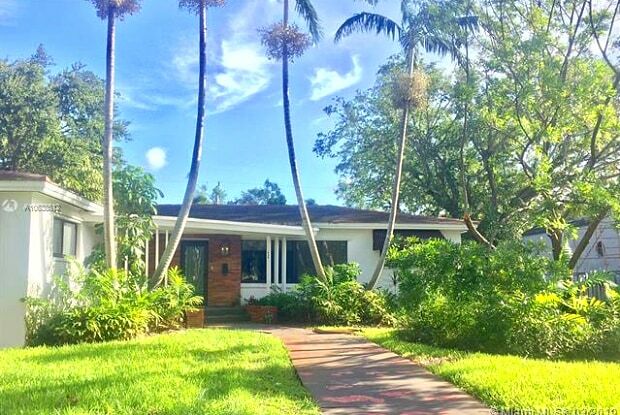 Amazing location...in the "Heart" of Miami Shores! Modern-Rustic Design w/original architectural details. Polished Terrazzo floors in striking "chocolate brown". Gorgeous 14' vaulted beamed ceilings w/wood & glass doors. 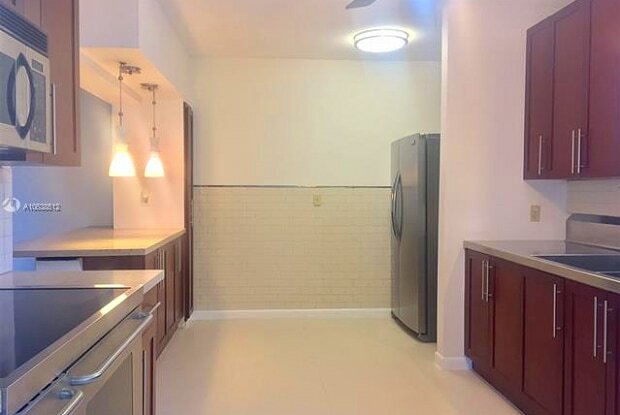 Large Chef's-sized Kitchen w/stainless steel appliances, large open Dining Bar in Silestone. New IMPACT windows. Large Master Suite w/Bathroom en suite... plus Lots of closets. ***Please note,3 Bedrm PLUS Office or Nannies quarters can be used as 4th bedroom (not true 4th bedroom).2 FULL baths+ 1/2 bath(near)backyard.Patio+BBQ area...great for entertaining and fenced back yard to play.Garage accommodates 1.5 Cars and extra parking in rear.Stroll to Miami Shores parks, downtown shops,Starbucks, and more! Move-in Available May 2nd. BEST PRICE-large sq.ft. w/the most updates! Have a question for 454 NE 93 St?